Following the events of 25-26 March in Minsk and other Belarusian cities, the EaP CSF Belarusian National Platform (BNP) released a statement calling on the responsible EU officials to objectively assess the situation in the country and consider the opportunities, as well as the conditions and limitations for any further development of the EU-Belarus dialogue. 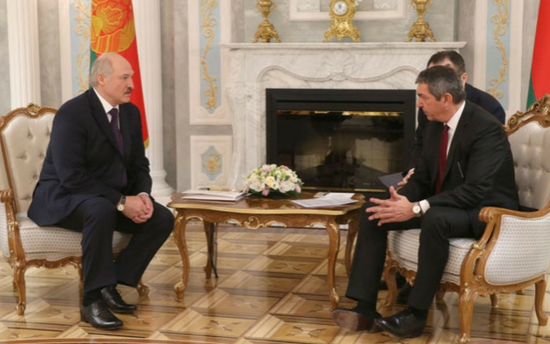 According to the Platform’s members, relations between the Republic of Belarus and the European Union cannot be maintained under the current conditions. The BNP suggests postponing the EU-Belarus Coordination Group meeting scheduled for 3-4 April in Minsk until the release and withdrawal of charges in relation to all those detained in connection with the peaceful protests held in Belarus in February-March 2017, and until an objective, fair and lawful investigation into the arbitrary detentions and harsh treatment of demonstrators is initiated to bring those responsible to justice. At the same time, members of the BNP ask for the revision of the format of the Human Rights Dialogue between Belarus and the EU, by including in the agenda specific commitments of the Belarusian state with regard to the citizens’ rights and freedoms. The BNP calls on the European Union to take appropriate measures that could contribute to a genuine and wide-ranging dialogue between the authorities and society, and proposes the EaP CSF Belarusian National Platform as one of the potential platforms for such a dialogue.